As with many Christmas carols, there is some mystery surrounding What Child Is This. We know for certain that the lyrics were written by William Chatterton Dix in 1865. Dix was a manager of an insurance company in England at the time. He suffered from a serious (though now forgotten) illness and was bedridden for months. This situation caused him to fall into a state of depression. But as he recuperated he went through a spiritual renewal. He began reading the Bible and started writing hymns and poems. One of them, “The Manger Throne,” was written after he read the Christmas story in Matthew chapter 2. In 1871 thee stanzas of that poem were published in “Christmas Carols Old and New” in Great Britain. The words were paired with the music from “Greensleeves,” probably either Ramsden Bramley or John Stainer who edited the book. The story of the music for “What Child Is This” is a little more cloudy. “Greensleeves” was first registered in 1580 in London by Richard Jones. Though its author is still unknown. 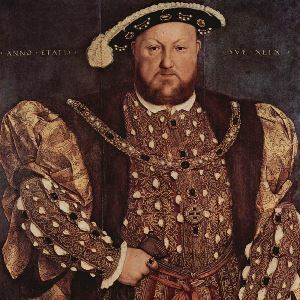 Some believe it was written by England’s King Henry VIII for Anne Boleyn, which would put the date of authorship sometime before 1532. Though music historians claim that the melody is based on an Italian style of composition unknown in England until after Henry had died. Lauren Daigle has published an official lyric video version of her version of this classic carol and an explanation of her giving it a New Orleans twist.